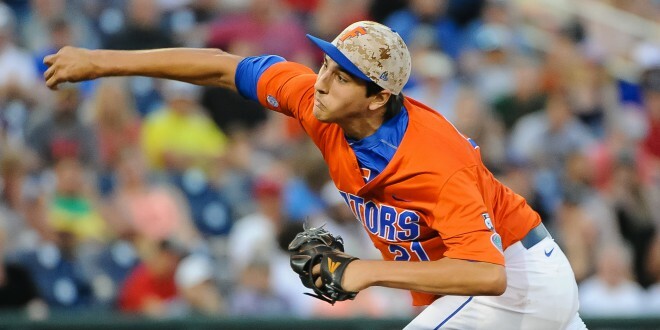 Alex Faedo has quietly challenged Logan Shore for the title of best starting pitcher of the Florida Gators this baseball season. As the 2016 home opener neared, most of the talk surrounding Gator pitching centered around their two aces, Logan Shore and AJ Puk. Both Shore and Puk are expected to be top-40 selections in this year’s upcoming Major League Baseball first-year player draft in June, with Puk having a shot to be the first overall pick. 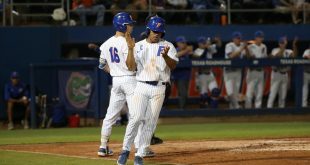 Deservedly so, the front two pitchers of Florida’s rotation grabbed most of the attention while Faedo quietly settled into the third starter role. 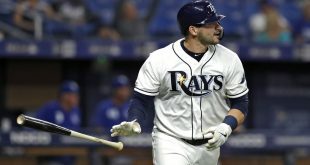 While Shore has been what the team has looked for in an ace with sterling 2.59 ERA and a 5-0 record including two complete games, Faedo has been just as impressive. Faedo now boasts a team-best 2.53 ERA after a six inning, one earned run and seven strikeout outing on Saturday night against Texas A&M. Over the course of seven starts and 42 and two-third innings pitched, Faedo leads the team in strikeouts with 50 and fewest walks allowed for a starting pitcher with seven. Faedo has gone at least five innings in each of his seven starts. The right-hander has allowed more than three earned runs in just one outing so far, and his 2016 resume includes a gem against Harvard in which he struck out 13 batters and allowed only two hits in eight and one-third innings pitched. Coach Kevin O’Sullivan called his latest outing against No.1 overall Texas A&M a “gutsy performance” that has shown just how much he’s grown this year. The Gators have been bolstered by their number three starter all season. Faedo’s early season consistency has been especially crucial given the struggles Puk has faced this year. While Puk’s 3.49 ERA in 28 innings isn’t bad, it is not the performance expected of a potential first overall pick. Puk has had three starts in which he didn’t last five innings and only one where he pitched into the seventh. 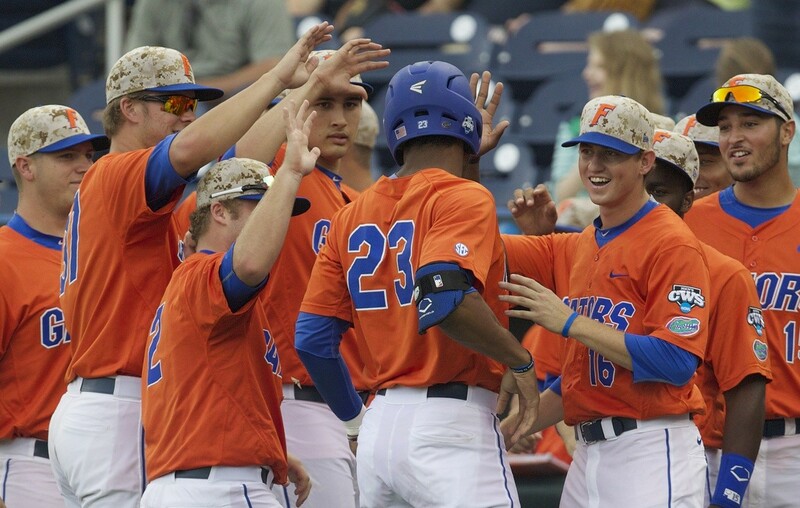 Overall, it has not been the start the Gators and Puk envisioned leading up to the season. Looking forward, Faedo is doing more than positioning himself to be a big part of the Gators’ 2016 run to Omaha. The Tampa native is easily the favorite to head next year’s rotation and even push his way into the first round of the 2017 MLB draft. 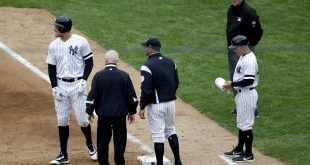 The 6’5″ right-hander has a power arsenal of pitches that is sure to have MLB teams keeping a close eye on him. Faedo can consistently keep his fastball in the 93-95 mile an hour range with a sharp slider that he can throw in the high 80s. 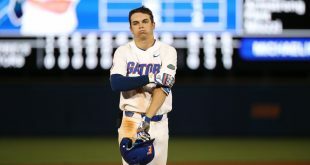 Even with the Gators losing some premier talent after this season, there is still plenty to look forward to for one of the country’s preeminent college baseball programs.